I recently had a chance to speak to the 11th Company about a few topics on behalf of Rites of Battle, and was happy to see it was worth editing into their podcast. I chime in briefly somewhere around the 1 hour, 3 minute mark. It was quite fun to be included in such a well established staple of the 40k online community. 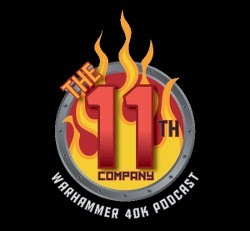 Check out The 11th Company, podcast 185.